Fabulous Fourth: After a rip-roaring,record-breaking month of June at the boxoffice, Hollywood is ready for a fabulous July Fourth. It's not the greatest timing this year because the Fourth falls on a Saturday, which is the best day of the week for moviegoing and doesn't benefit that much from getting a holiday boost at the boxoffice. Nonetheless, moviegoing has become such a big part of celebrating July Fourth weekend that attendance is still likely to expand. If there's bad weather on the Fourth in areas like the Mid-West or along the East Coast, that typically translates into more movie ticket sales as parents come up with alternative ways to keep their kids entertained. Heavy rain, of course, washes out July Fourth traditions like picnics, parades, beach visits and fireworks, but can generate a different kind of fireworks at the multiplexes. With ticket sales as sizzling as they've been throughout June, Hollywood has high hopes for the two wide releases arriving for the Fourth. To expand the holiday weekend from its three day calendar status, Hollywood is starting the party Wednesday (July 1) instead of Friday with the launch of "Terminator Genisys"and "Magic Mike XXL." Paramount Pictures and Skydance Productions' PG-13 rated 3D sci-fi action adventure "Terminator Genysis,"opening at about 3,600 theatres, is from "Thor: The Dark World" director Alan Taylor. In a new time frame within the franchise's storyline, Kyle Reese (Jai Courtney) teams up with John Connor's mother (Emilia Clarke) and an aging terminator (Arnold Schwarzenegger), trying to avoid the Judgment Day the future fears most. This is the fifth episode in the franchise that began with the R rated sleeper hit "Terminator," which opened via Orion Pictures Oct. 26, 1984 to $4 million and went on to do $38.4 million domestically, a hefty gross at the time. Directed by James Cameron ("Titanic" and "Avatar" were in his future), it starred Arnold Schwarzenegger, Linda Hamilton and Michael Biehn. The last episode, the PG-13 rated "Terminator Salvation," opened May 21, 2009 via Warner Bros. to $42.6 million and grossed $125.3 million in domestic theatres. Directed by McG ("Charlie's Angels"), it starred Christian Bale, Sam Worthington and Anton Yelchin. 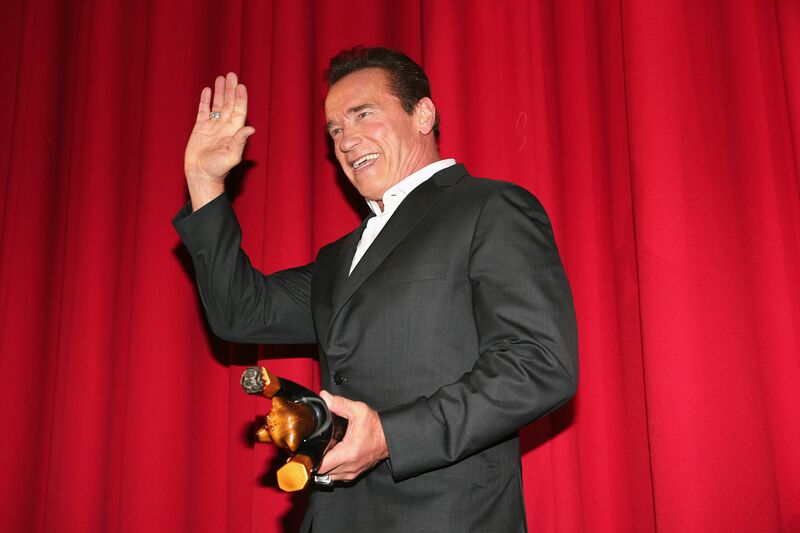 Schwarzenegger was serving as Governor of California at the time "Salvation" was produced and did not appear in the film. His Terminator character was created by using digital special effects. Two more episodes in the rebooted franchise are already set to open over the next three years via Paramount – "Terminator 2" on May 19, 2017 and "Terminator 3" on June 29, 2018. The fast-track sequels reportedly stem from the film rights to the franchise reverting back to Cameron in 2019. Also arriving July 1 is Warner Bros. and Iron Horse Entertainment's R rated male stripper comedy "Magic Mike XXL" at about 3,350 theatres. Directed by Gregory Jacobs ("Wind Chill"), who was first assistant director on the 2012 original "Magic Mike," it stars Amber Heard, Channing Tatum and Elizabeth Banks. "XXL" is perfect counter-programming to "Genisys" since its core audience is women, especially under 25, while male moviegoers, especially over 25, are the core crowd for the latest Terminator tale. In "XXL," it's been three years since Mike (Tatum) quit the stripper life at the top of his game, Now, the remaining Kings of Tampa are also ready to throw in the towel, but not until they give one last blow-out performance in Myrtle Beach -- with Magic Mike sharing the spotlight. The first "Mike" opened June 29, 2012 to $39.1 million and did $113.7 million domestically. Both "Genisys" and "XXL" should benefit from the fact that moviegoing is really hot this summer. June produced two blockbusters in Universal, Amblin Entertainment and Legendary Pictures' PG-13 rated 3D sci-fi action adventure "Jurassic World"and Disney and Pixar Animation Studios' PG rated 3D animated family comedy "Inside Out." Last weekend saw a tight race for first place between the two mega-hits with "JW" taking the top spot with $54.2 million. Its cume after three weeks is $500.1 million domestically. It's also done $737.5 million internationally, according to the boxoffice data firm Rentrak,to bring its global cume to $1.238 billion. "JW" crossed the $500 million mark domestically in just 17 days, Rentrak said, setting a North American boxoffice history record. "IO" was a close second last weekend with $52.1 million. After two weeks, its domestic cume is $184.9 million. Internationally, according to Disney, it's done $81.5 million – with many territories still to open in the coming months – to bring its global cume to $266.4 million. While those are the heavyweight holdovers, the summer to date has also brought a string of other hits that struck the right chord with moviegoers. Universal and Gold Circle Films' PG-13 rated music comedy "Pitch Perfect 2"has grossed $181 million after seven weeks in theatres. Directed by the actress and first time feature director Elizabeth Banks, it stars Anna Kendrick, Rebel Wilson and Hailee Steinfeld. 20th Century Fox and Chernin Entertainment's R rated action comedy "Spy"has done $88.4million after four weeks. Warner Bros., New Line Cinema and Village Roadshow Pictures' PG-13 rated 3D action thriller "San Andreas" has grossed $141.9 million after five weeks. Directed by Brad Peyton ("Journey 2: The Mysterious Island"). It stars Dwayne Johnson, Alexandra Daddario and Carla Gugino. Warner Bros. and Village Roadshow's R rated 3D action adventure thriller "Mad Max: Fury Road"is from George Miller, director of "Mad Max" one and two and "Mad Max Beyond Thunderdome,"and stars Tom Hardy, Charlize Theron and Nicholas Hoult. It's grossed $147.1 million after seven weeks. Marvel Studios and Disney's PG-13 rated action adventure fantasy "Avengers: Age of Ultron"is from Joss Whedon, writer-director of "The Avengers"and stars an extensive ensemble cast, including Robert Downey Jr., Chris Evans and Mark Ruffalo. After nine weeks, its domestic gross is $452.4 million. Internationally, per Disney, it's done $919.1 million, bringing its global cume to $1.372 billion. The new kid on the summer block is last weekend's opening of Universal and Media Rights Capital'sR rated comedy "Ted 2. "Directed by Seth MacFarlane ("Ted"),it stars Liam Neeson, Mark Wahlberg, Amanda Seyfried and MacFarlane as the voice of Ted. "T2"finished third last weekend with $32.9 million in a marketplace dominated by the blockbuster holdovers "Jurassic World" and "Inside Out." It should benefit from expanded moviegoing over the July Fourth holiday period. Given this summer's robust boxoffice receipts, Hollywood is seeing a 7 percent increase in overall grosses this year, according to Rentrak. It puts ticket sales through last weekend at $5.51 billion vs. $5.15 billion for the same period last year. Bottom line:For millions of Americans, popcorn and a movie will go hand-in-hand with celebrating July Fourth.